myGanBlog: Will you play with me? Play is the child's work. It is how children explore, learn and make sense of their world. 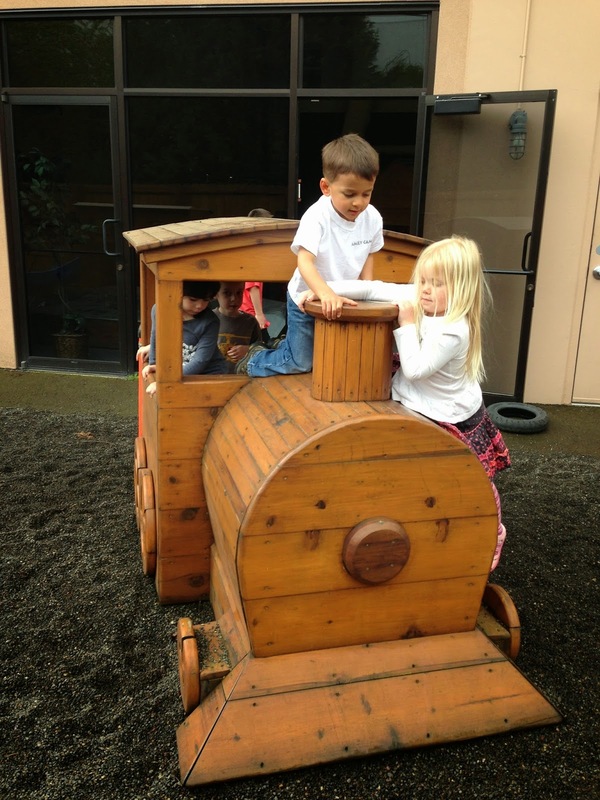 Play is necessary to the overall healthy development of the child. A hands on/whole body approach to learning is natural; children have been using their senses since they were born to absorb and comprehend the world around them. 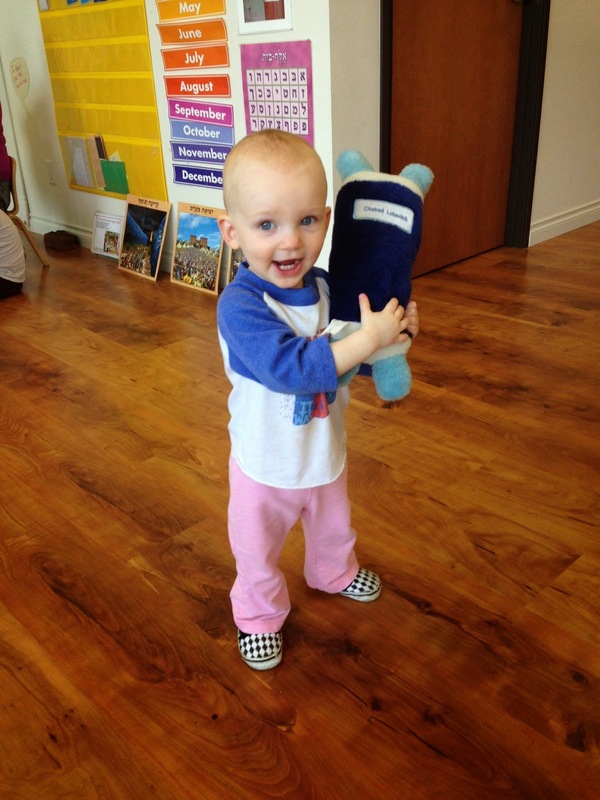 One of play's many benefits is the development of positive social skills, as well as fostering language development. In a room with 14 other 3-5 year olds simply grabbing what you want may leave you with the unpleasant experience of receiving a hard shove. If pushing and grabbing results in unfavorable consequences, how do we successfully get what we want? May I play with you? May I have the bike? block? marker? Judah: Efraim do you want to play this with me? Anton: I want a turn on the stack. Abigail: I want a turn. It's my turn. Gracie: Let's take turns. First Amelia then Anton. Then Me. Isaac: Ok, we can take turns. Efraim: But I want to go up too. Gracie: You can sit with me. Isaac: Now it's my turn and I am flying! These conversations help children learn to express their preference, stand up for themselves and learn to graciously accept the word NO. A play-based curriculum provides an environment in which a young child can routinely observe and learn from their friends emotions and experiences. Play creates opportunities for children to try out new ideas. 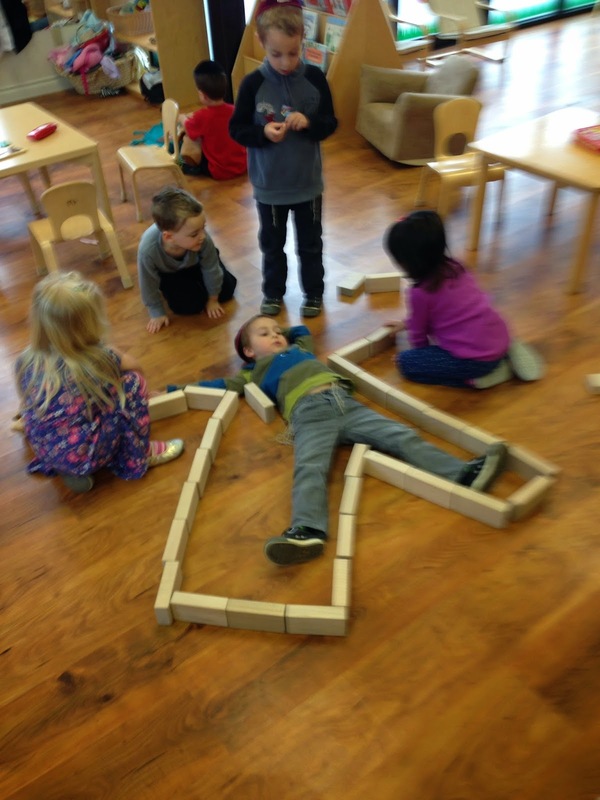 The children made "block (friend's name)". 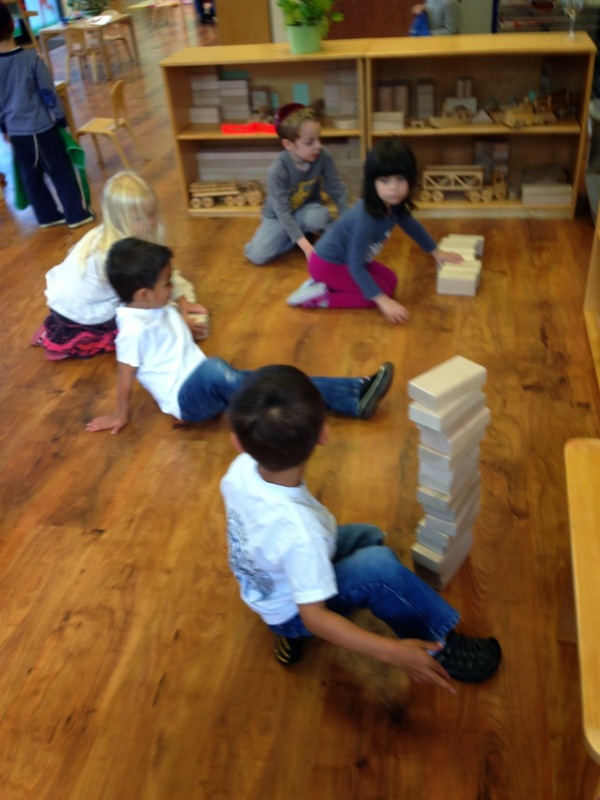 This was a new way to use the blocks, as well as a way to develop self control. 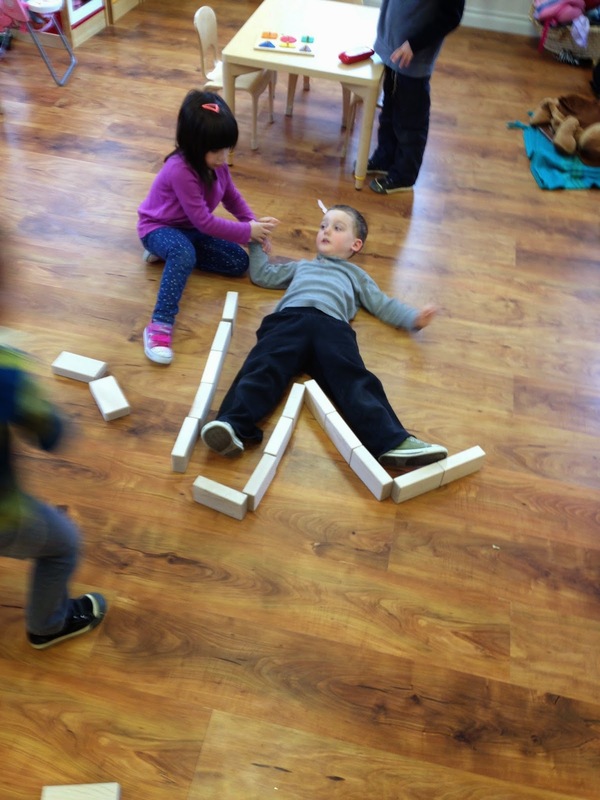 One friend laid on the floor; the others placed blocks around them creating the outline. Gracie: Judah if you keep moving we can't frame you. You need to be still. Sroli: Efraim is bigger then Gracie, we need more blocks. 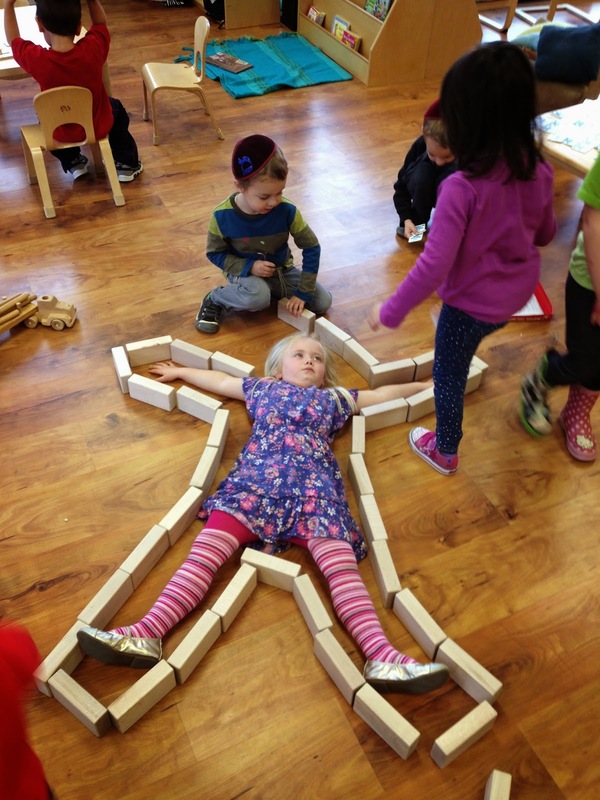 Gracie: If we put the blocks too close to Amelia's body she won't be able to get up without knocking them over! Putting things away can be play. It can turn into a fun game of matching. Gracie: We don't have all the rectangles. We are missing 2. Morah Katie: Gracie, looking around I think you have them all. The stacks may not be equal. Would you like to fix that? Gracie: No. If we have them all then they're put away. Play allows the children at The Gan a chance to see how others use the materials in the classroom. Natan was inspired by "If You Take a Mouse to School" to build a mouse house. It is quite a mouse house. Because of Natan's excitement and creativity, friends joined him. We soon had a mouse town. 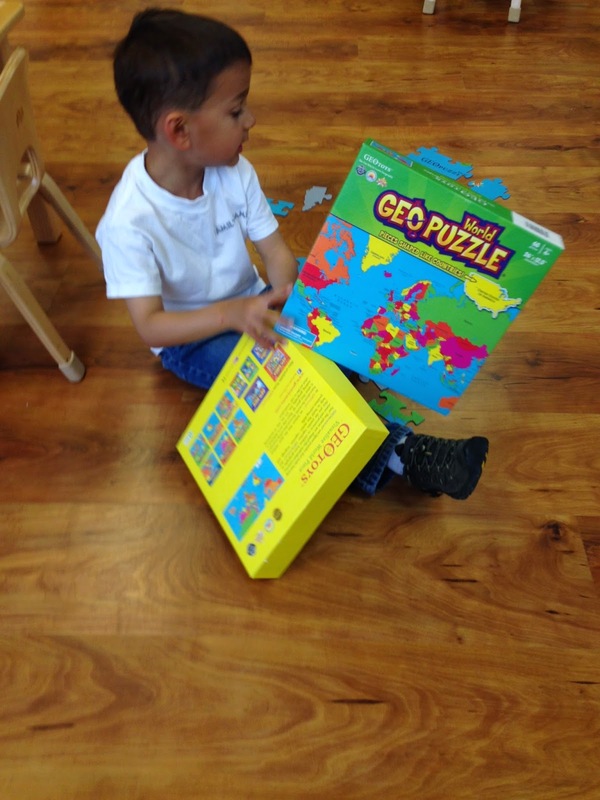 Scout's quiet attention to the geo-shape matching drew Gracie and Efraim's attention. Scout: I am matching the shapes. Gracie: You can also do it by the color. Scout: I did did the horse, but now I am doing the butterfly. I need the yellow hexagon. Gracie: I need some blue diamonds. Open ended play lends itself to creativity and imagination, to the discovery of similarities and differences. 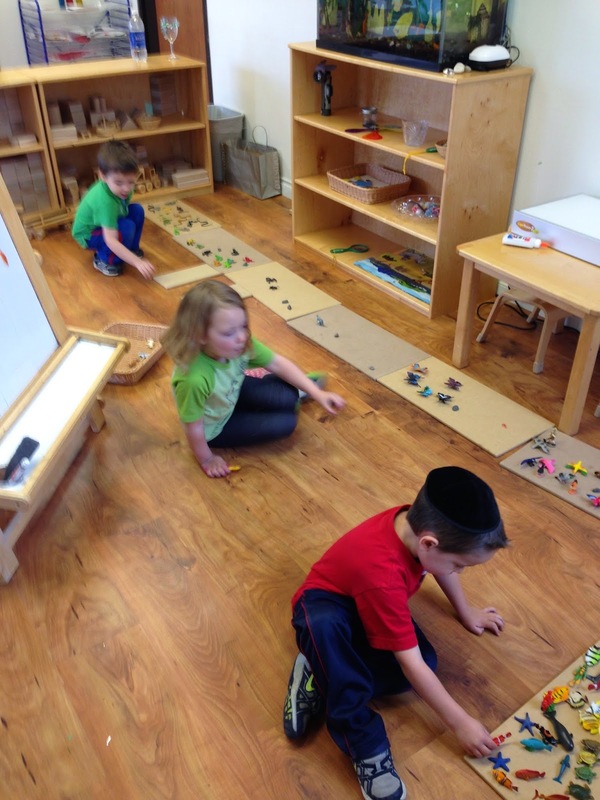 Natan began by spreading the animals all over the wood pieces. He then began to sort them by type of animal. The sorting, the order, intrigued Scout who then asked Natan if she could play. She began to sort. Jacob was drawn to the extensive line of animals and found his way to the sea animals he enjoyed so much while we "visited" The Great Barrier Reef in Australia. In this moment, we see friendships being strengthened, language and connections developed. 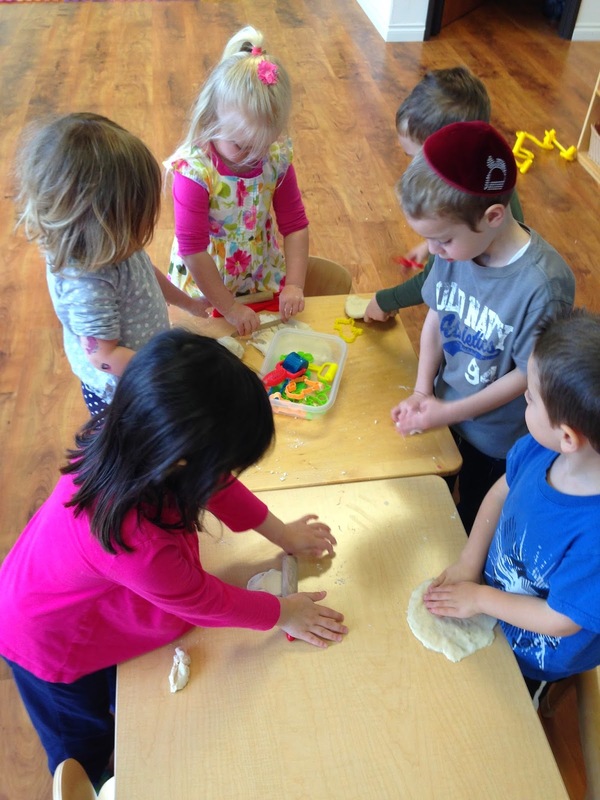 We see the children expressing and demonstrating their distinct preferences and interests, harmoniously. 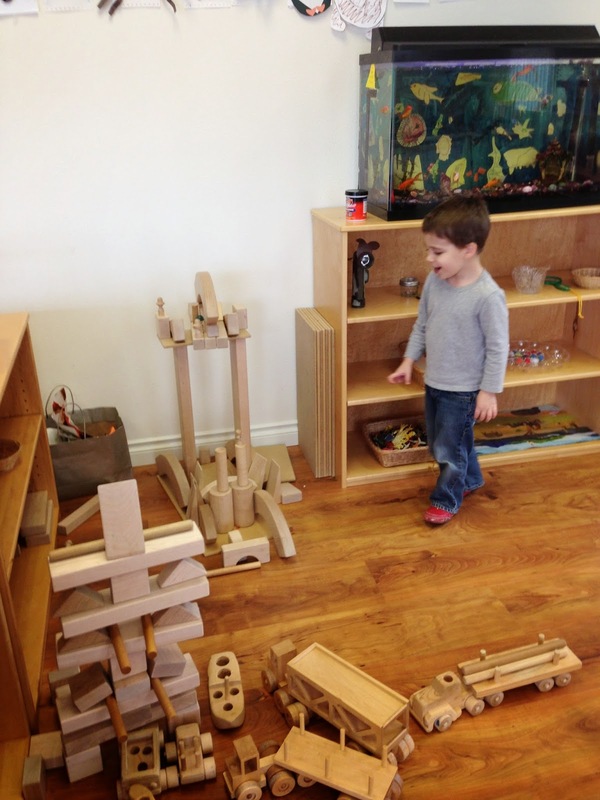 Play is the conversation that occurs when the children work together to put the number rods away. Sroli: It is from 1 to 10. Gracie: It has to be from the smallest to the biggest. Isaac: That is not the biggest. Abigail: I have the biggest. Isaac: I have the 9. Gracie: It is all done now. Good job guys. 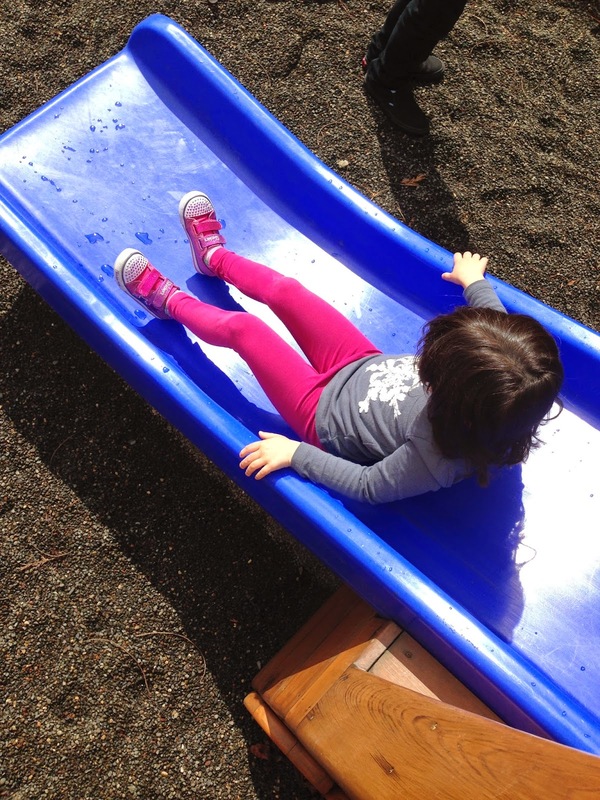 Independent play is equally important. It gives the child time to enrich their interests and discover connections. 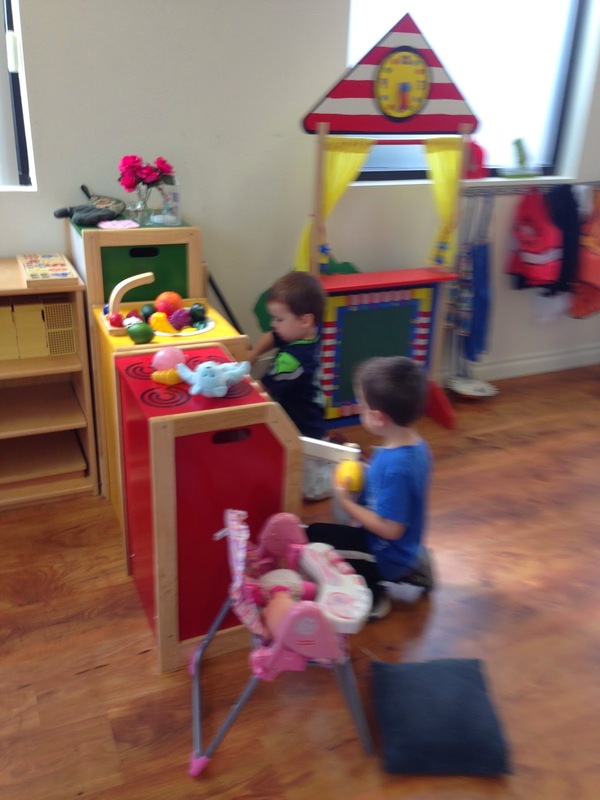 Parallel play is when children participate in the same activity, independently, next to each other. Each child can be exploring on his own, yet sharing an interest. This shared experience lays the foundation for a later friendship. Abigail and Amelia came to explore color mixing independent of each other. Later in the day, they sat together at circle, a new found friendship. Scout and Natan are climbing. 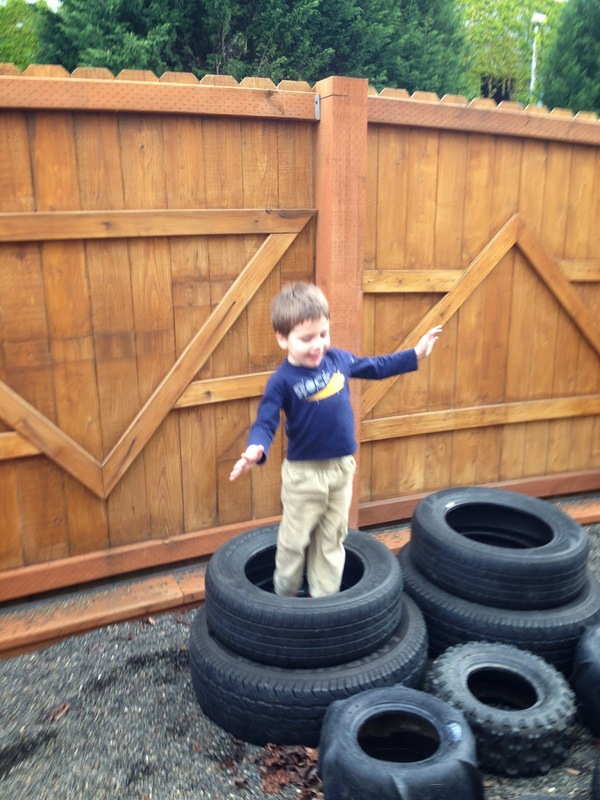 Natan discovers he can balance on the sides of the tires and jump in the center. Scout discovers if she sits on the side and bounces, she creates a bouncy seat. Two children, two different and separate discoveries, two sets of laughs. Play is what children do. Provide a child the space to follow his interests, express her creativity and move around. Then watch the development of the engaged, capable, joyful person they are becoming.